VNA Foundation - What A Great Website! VNA Foundation is a grantmaking foundation serving the Chicago metropolitan area. 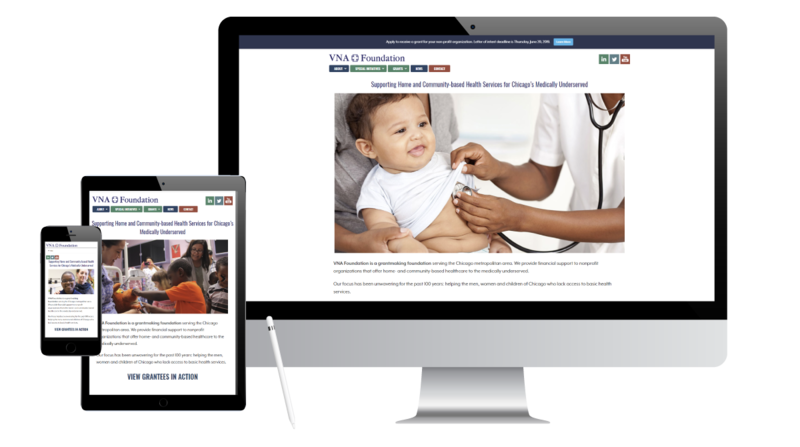 Their original website left visitors wondering what they did – which is providing support to nonprofit organizations that offer home- and community-based healthcare to the medically underserved. We wrote a clear positioning statement for the home page and built a bright, modern, user-friendly website. An intuitive menu lets visitors quickly learn about the grantmaking process, view deadlines, apply for grants, and view grant statuses to date.